A new water system now serves El Salado in Colombia after being chosen by Ferrovial for its Social Infrastructure programme in 2016. 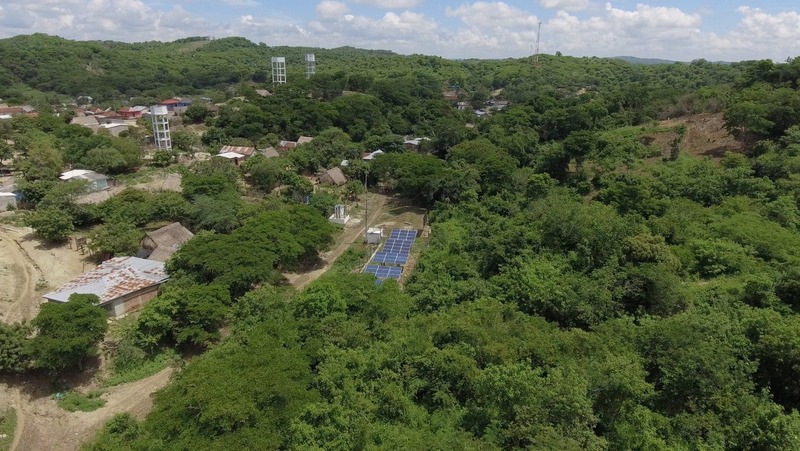 €162,000 euros has been invested in the aqueduct system, which is powered by a solar facility and is the first of its kind in Colombia. The community now has daily access to water fit for human consumption. Until now, it had a poor quality water supply that was only available for a few hours, three days a week, due to high maintenance costs. The community of El Salado in Colombia was scarred by the massacre that took place 18 years ago, where Infraestructuras Sociales 66 people were killed. All the residents abandoned the village and uprooted to Bogotá, Cartagena or Sincelejo, but a small group of former El Salado villagers eventually began the task of restoring the village for the return of its inhabitants. Ferrovial, together with Ayuda en Acción and Fundación Semana, has worked to repair and expand the aqueduct system as part of its Social Infrastructure programme. They have also created the Water Committee, an organisational structure to maintain and operate it. Thanks to this project, the 1,290 inhabitants of El Salado have high-quality drinking water, due to a chlorination system included that will improve children’s health. In addition to the financial contribution, a group of volunteers from Ferrovial were involved in designing the infrastructure and training staff, which aims to make the community self-sufficient in terms of management and maintenance.